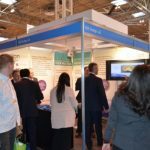 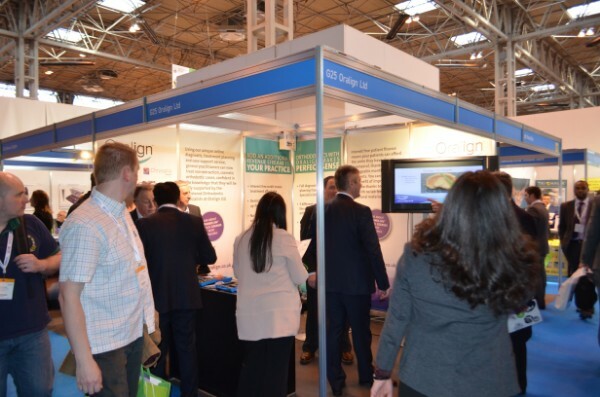 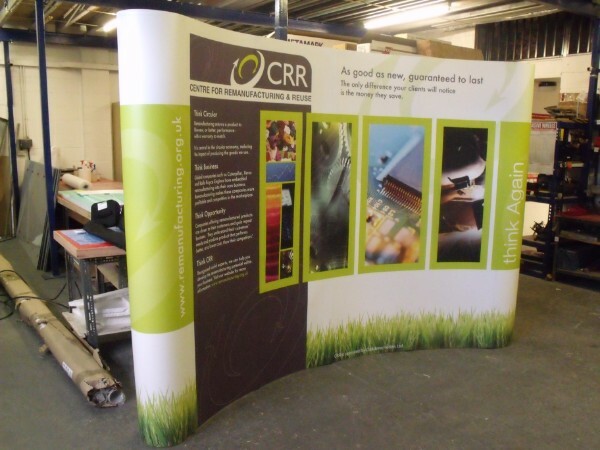 Pop up displays are an impressive option if your business regularly attends exhibitions and events. 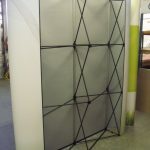 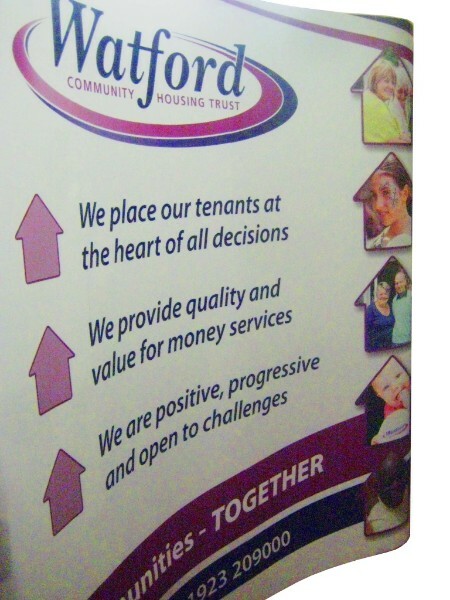 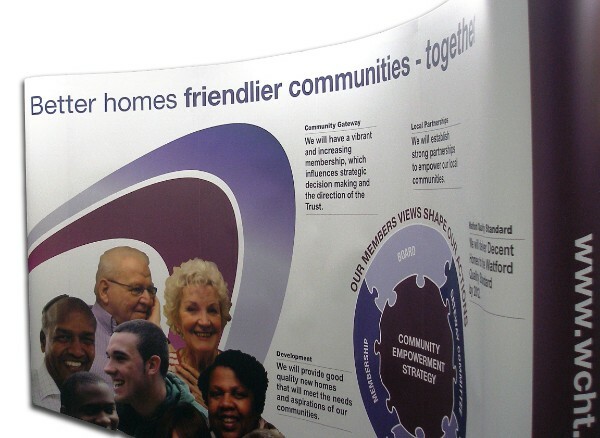 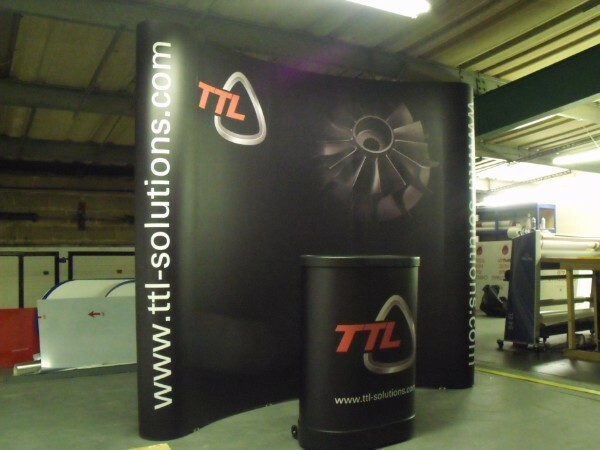 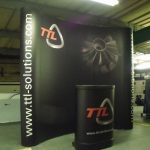 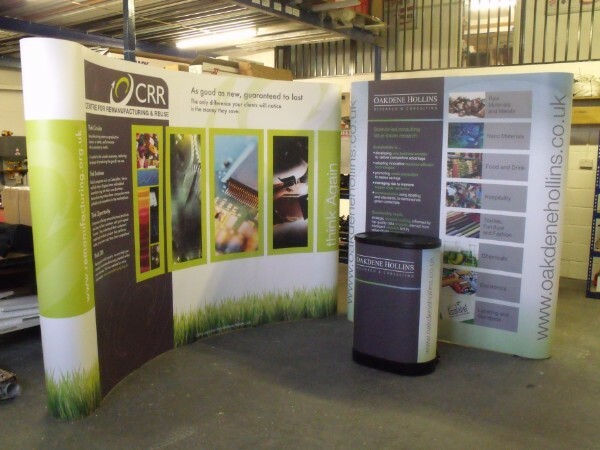 Our large pop-up displays offer the opportunity to really make an impact. 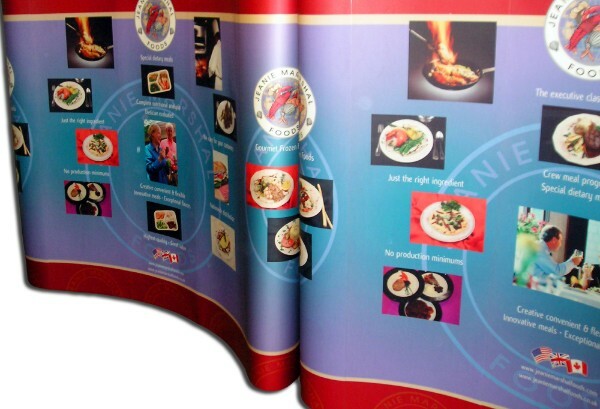 We digitally print your high resolution designs and laminate them with a matt or gloss finish. 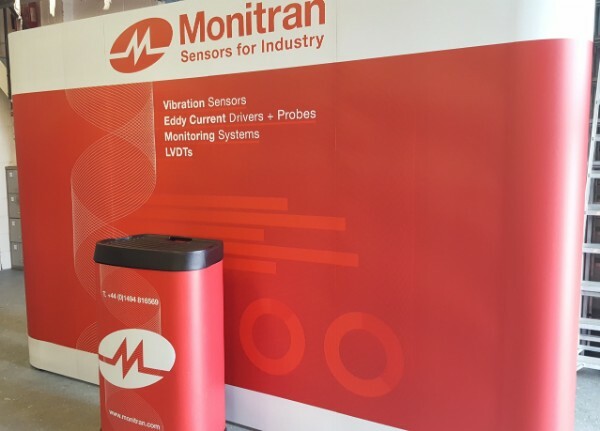 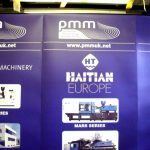 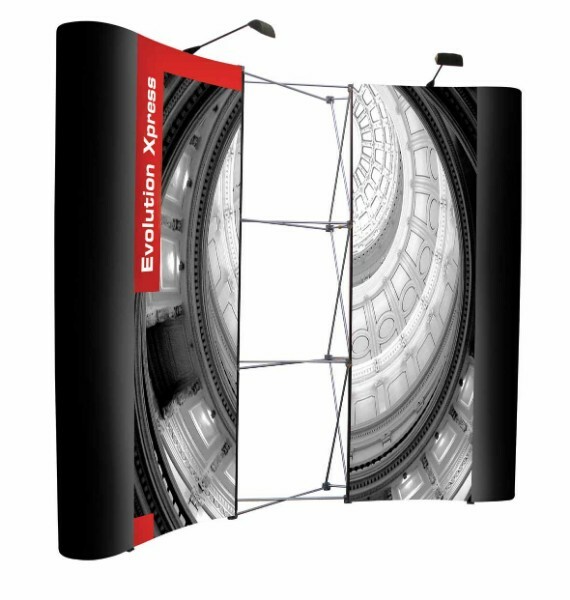 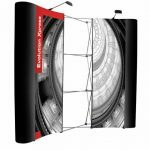 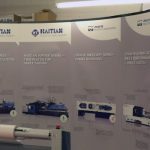 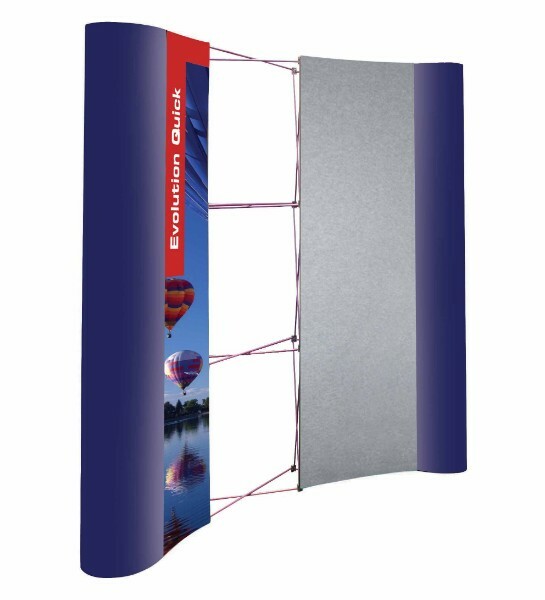 The magnetic system makes it easy to assemble the graphics onto the pop up frame and assert your presence at business events. 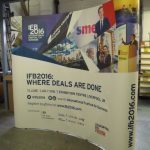 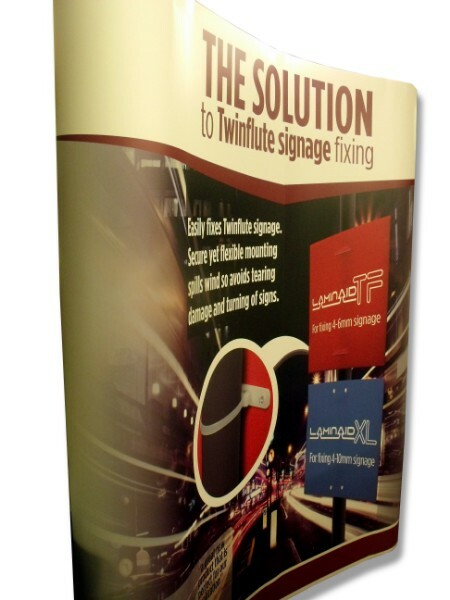 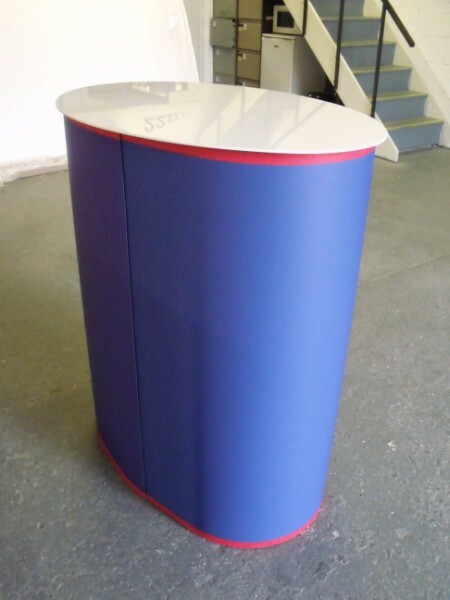 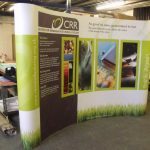 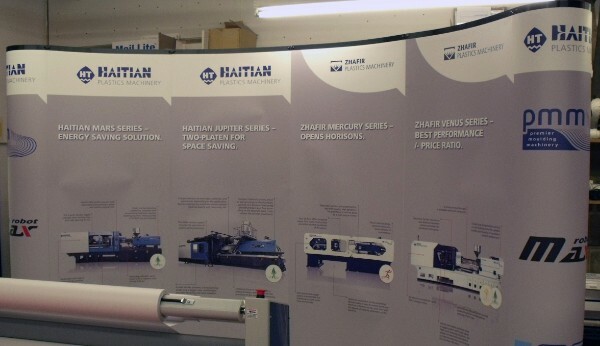 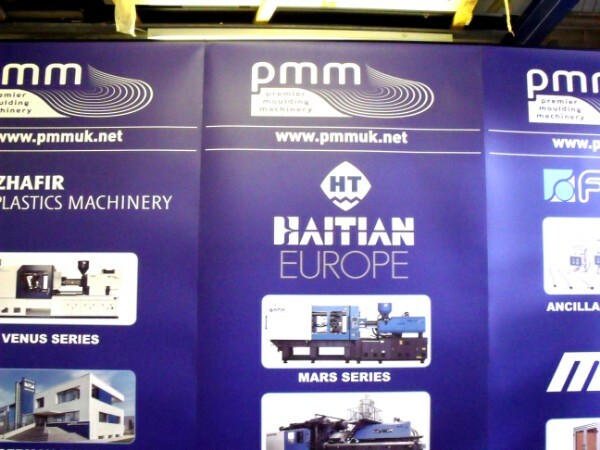 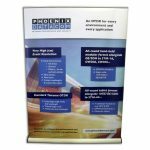 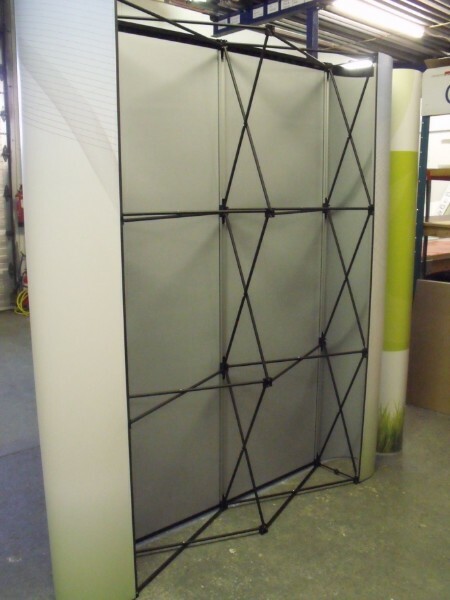 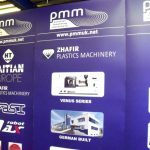 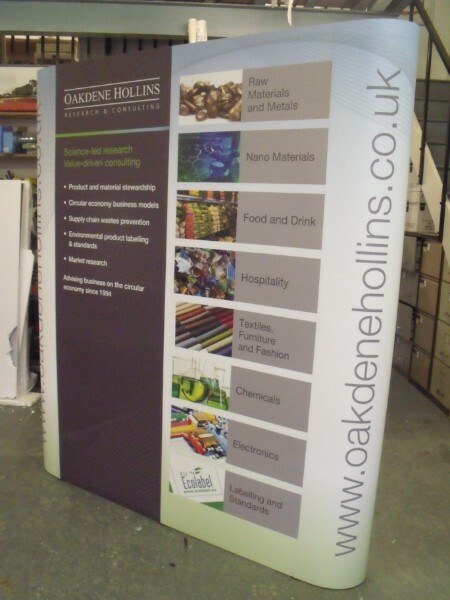 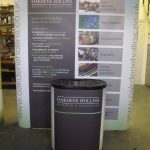 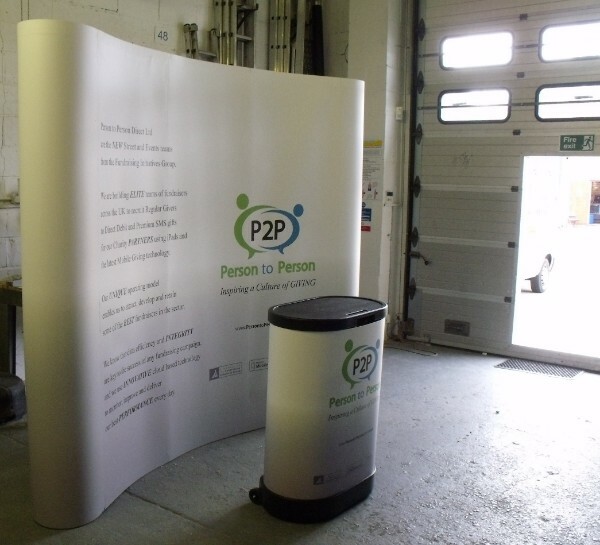 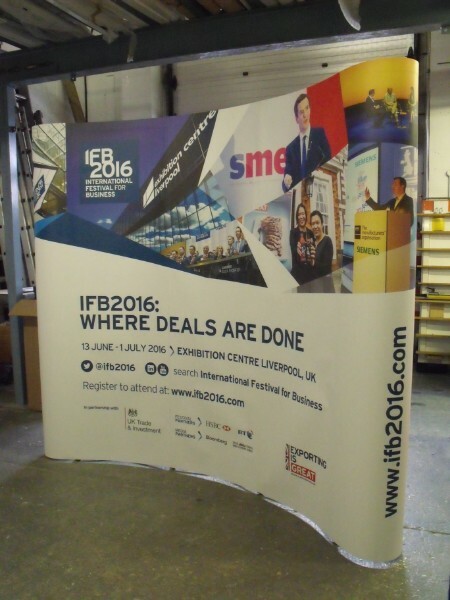 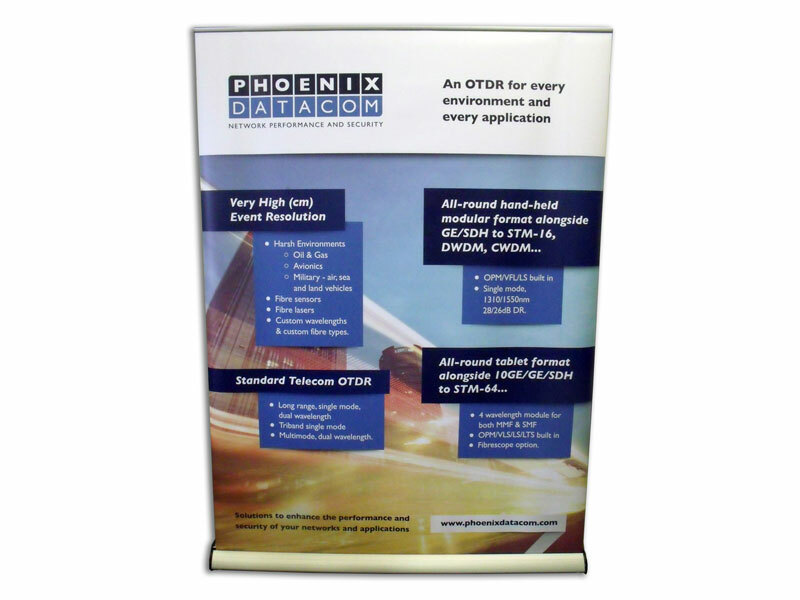 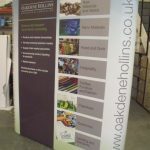 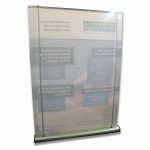 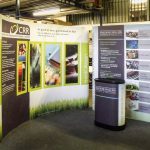 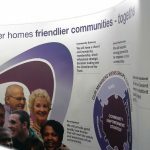 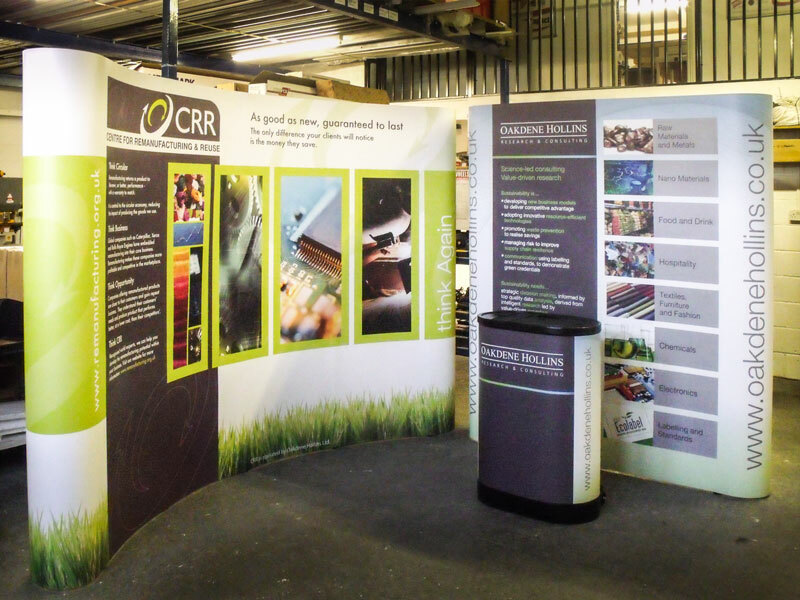 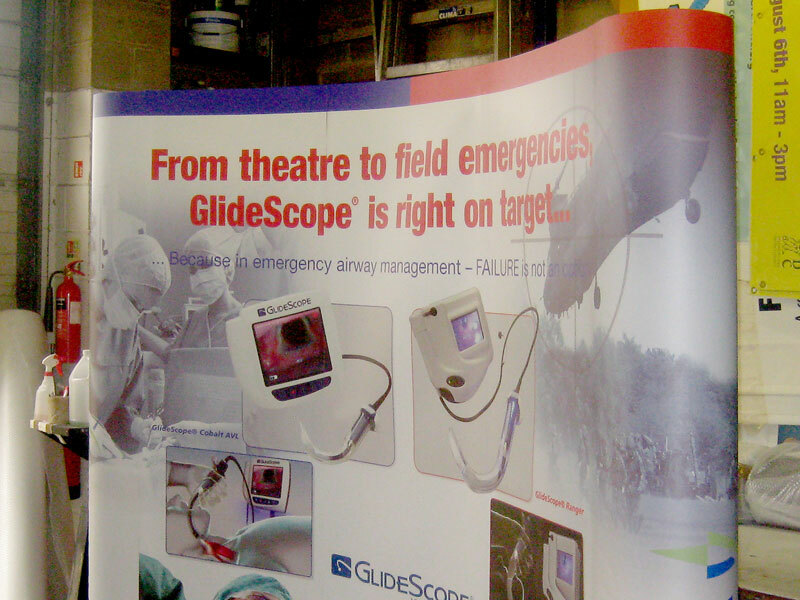 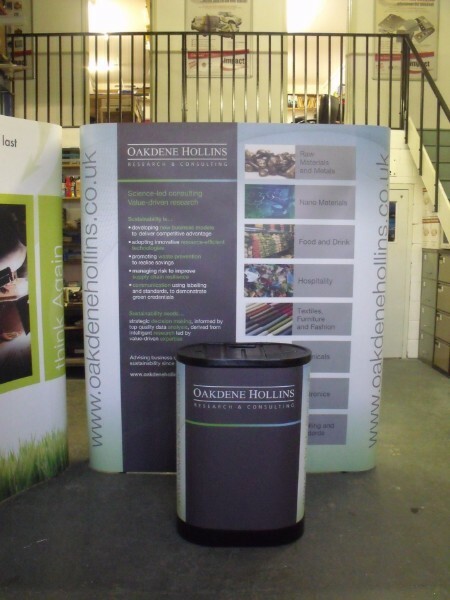 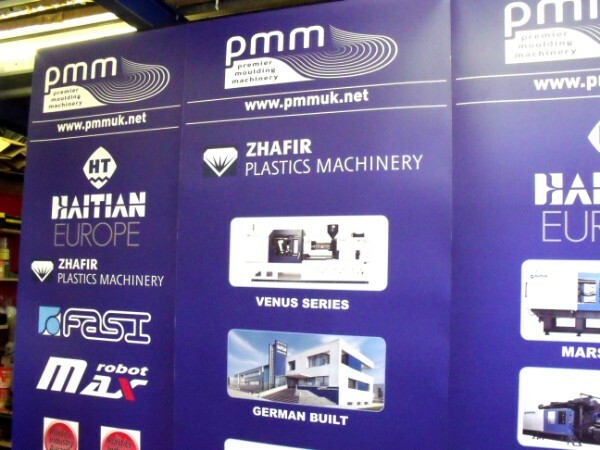 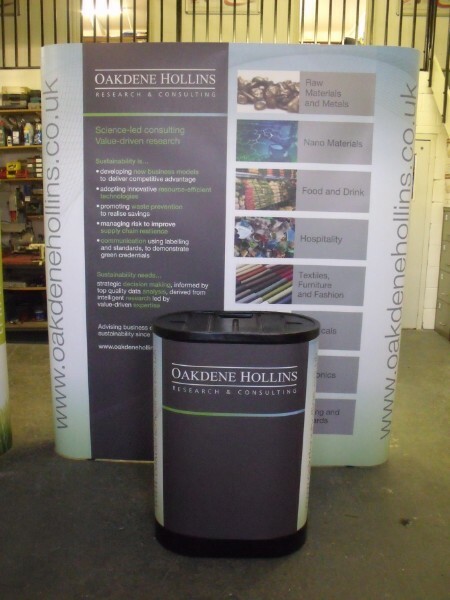 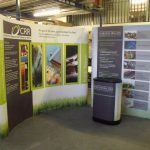 Pop –up displays are ideal for promoting your business at exhibitions and events. 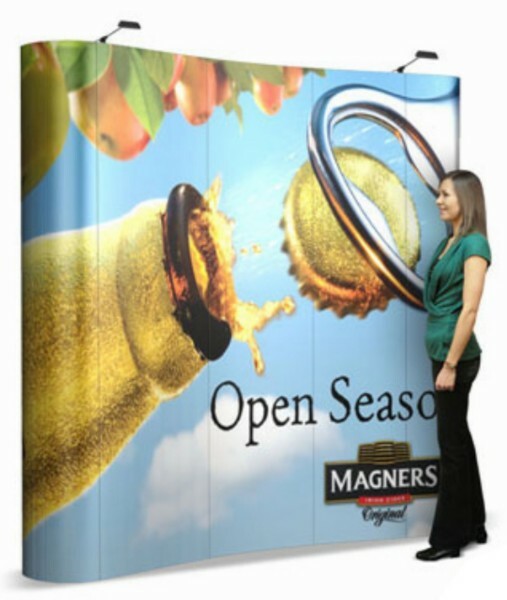 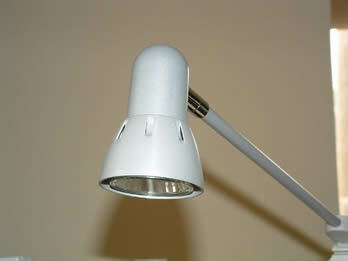 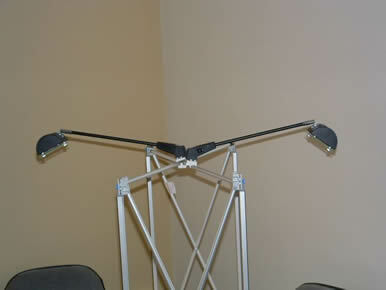 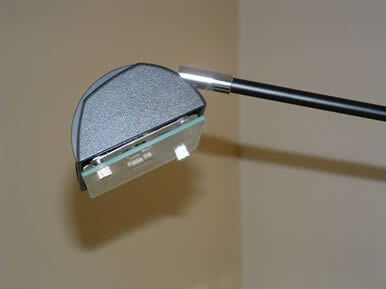 They also make an eye catching point of focus in company receptions and conference rooms. 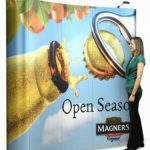 We can create a number of different graphics to be mounted onto the same frame, which can be ideal for seasonal promotions or when targeting different audiences. 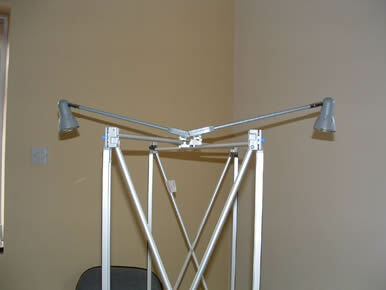 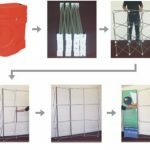 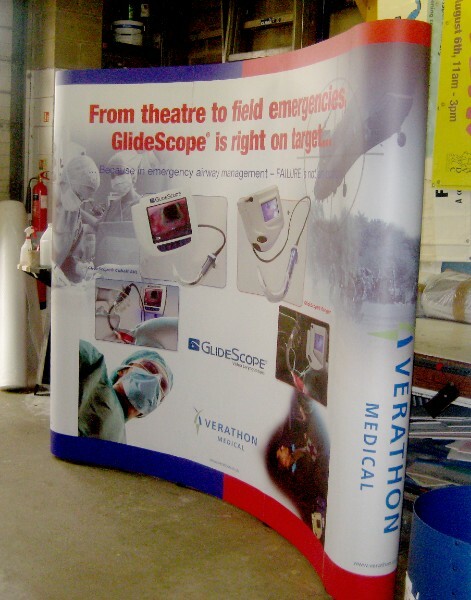 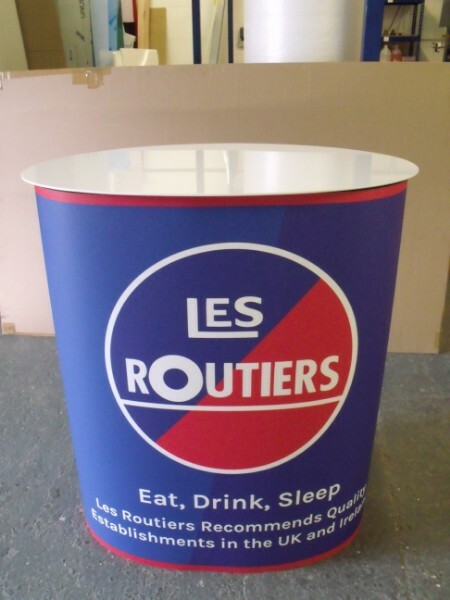 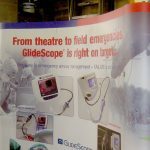 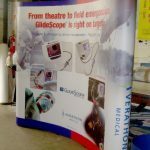 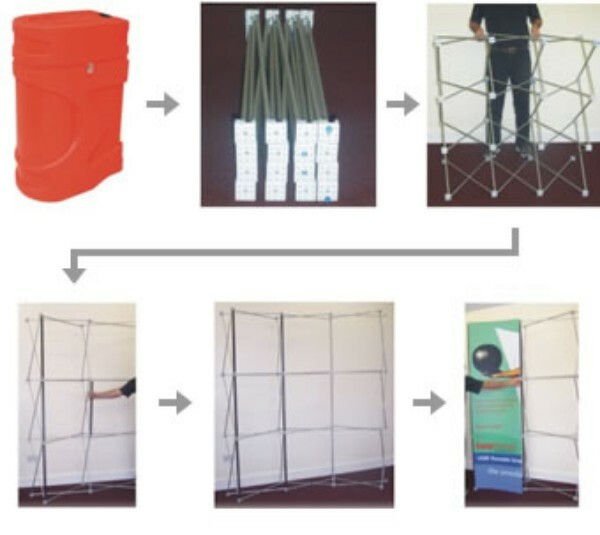 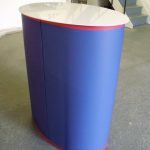 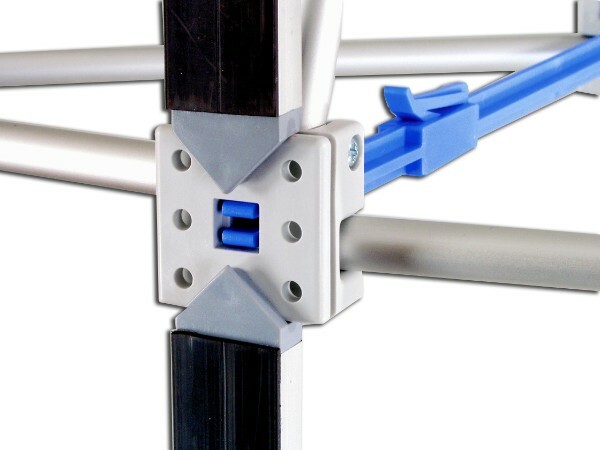 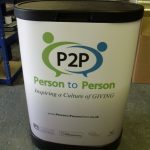 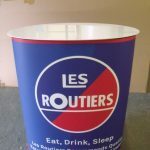 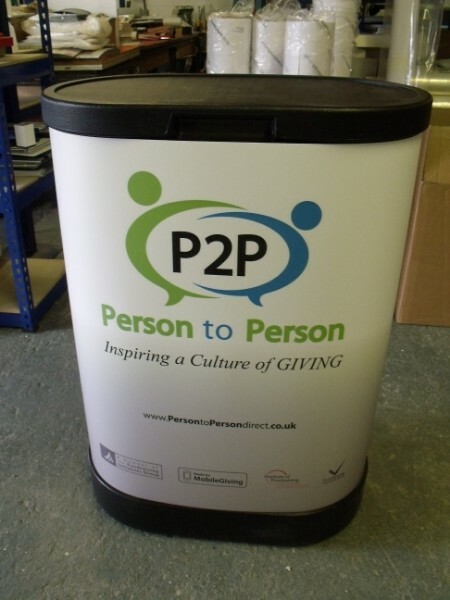 The pop up display fits back into a wheeled storage drum, which makes it convenient to transport and store between events, as well as helping it to remain in top condition for many years to come. 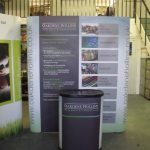 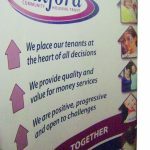 All Impact Signs products are created in-house, so we can confidently offer a reliable, high quality and cost effective solution to your marketing needs. 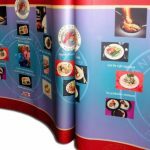 Whatever Format is used, placed images should not be less than 50mb per square meter at actual printing size at 100DPI (39.37 Pixels per cm) without falsely increasing resolution of an original image to achieve this. 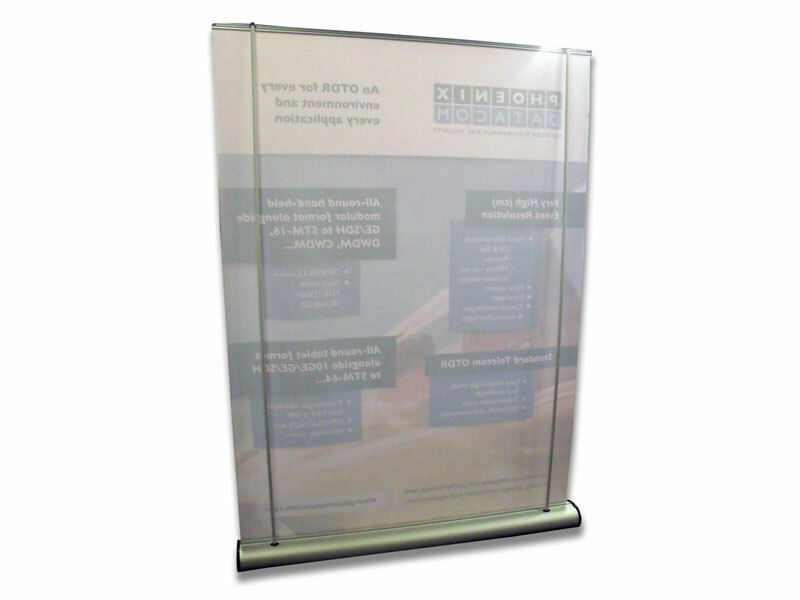 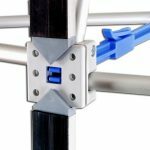 If you need to store pop up display, please roll up with the graphic on the outside. 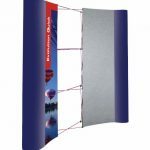 Also, it is wise to keep your banner out of direct sunlight, preferably in a black refuse sack; this will prevent fading or yellowing in the exposed area.